Cuetec Cues are among the most popular pool cues today due in part to their relationship with Hall of Fame player Allison Fisher and future Hall of Fame player Shane van Boening. Cuetec cues feature a unique composite shell of fiberglass which completely encases the solid wood core in an armor of high-tech synthetic material. The Cuetec "power bonding process" protects the pool cue from warping by locking out moisture and temperature changes. In addition, the synthetic cladding on Cuetec shafts provide ding and dent resistance and adds tremendous strength to the pool cue. 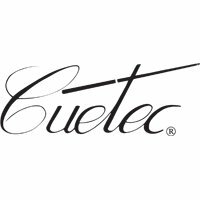 Whether you choose the classic SST shaft or the new R360 low deflection shaft, you can't go wrong with Cuetec. PoolDawg is an Authorized Dealer for Cuetec pool cues.